The Buffalo Bill Cultural Center welcomes you or your group any time throughout the year. You don’t need an appointment to visit the sculpture and enjoy our permanent displays inside, but if you call ahead, we can provide a guided tour, activity or special program created for your school field trip, scout troop, tour bus group, community club, or just a group of family or friends. The Sculpture Tour – Kids aged 6-14: Hands on at the sculpture and story board with history about the sculpture and “The Birthplace of the Legend”. Tour features the Buffalo Bill Contest story and optional “Color Quiz” game. • Tribute to the Bison – Hands on educational presentation about the history of the buffalo, its uses and conservation efforts. 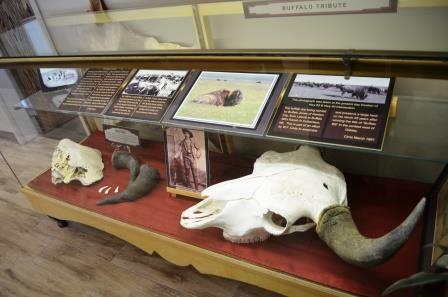 Buffalo hide, horns, skull, teeth and more, for students to see and touch. 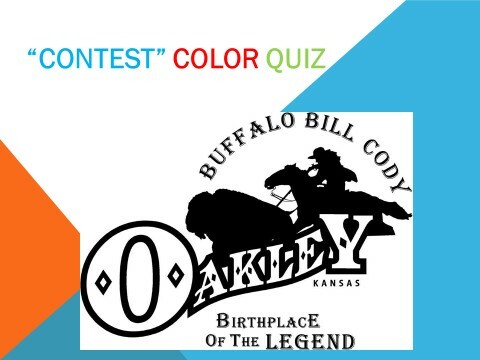 • Western Kansas Trivia Contest – For grades 6-8: Take on a semester project in your classroom. 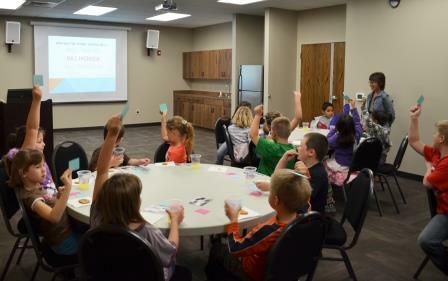 Study about Kansas and have your class form teams and come participate in a “Jeopardy” style trivia game at the BBCC. Teachers: schedule at the beginning of school year or after winter break. • Oakley Shucks! 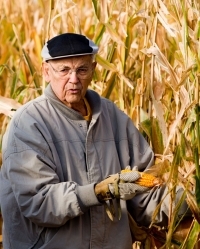 Kansas State Cornhusking – Includes video presentation of “When Farmers Were Heroes”, the Kansas State Cornhusking Contest Display and a hand husking demonstrations with “hands” on in the cornfield (available September through October). Reservation required for this presentation. • Buffalo Bill’s Life in Kansas – Presentation appropriate for kids of all ages. 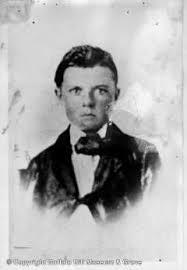 Bill Cody was 7 years old when he moved to Kansas. Hear about his life, accomplishments, and of course, the legendary buffalo hunt that forever earned him the nickname “Buffalo Bill” at the age of 22. 15-20 minutes. 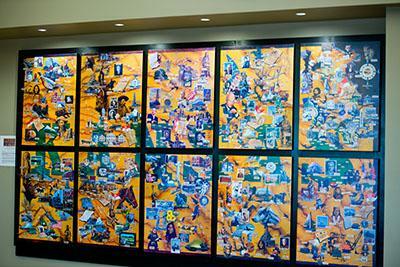 • The Kansas State Historical Mural (On Permanent Display) – See the wonders of Kansas history, art and culture. For Kids of all ages. Tour the sights and history in each part of the state and then take the Kansas Mural Quiz. 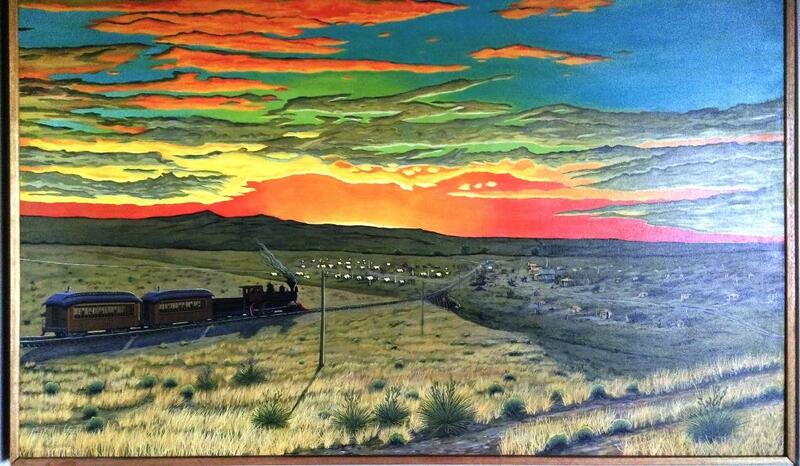 Sheridan, End of the Tracks Oil Painting by Chuck Bonner, Keystone Gallery. (On Permanent Display) – Take the story with you: Clyde W. Blackburn, Sheridan-Lawless City of the Plains. 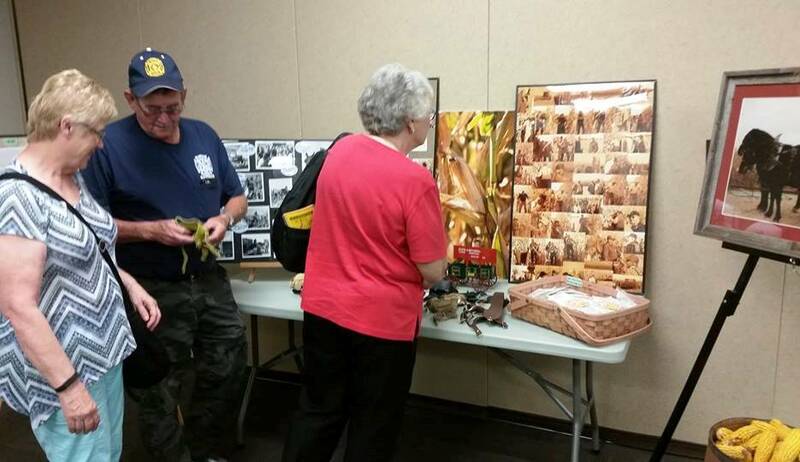 Group presentation: Kansas in the 1860’s – The Railroad and the Town of Sheridan. 20 Minute Adult (PG) Interactive slide presentation – Call ahead to book. Not appropriate for kids under 12. Includes “Hidden History” The Ghost Town of Sheridan Kansas, 1868 – 6 minutes. OR, work with us to develop a Custom Themed Presentation or activity tailored to fit your needs and schedule. Theme ideas include, Buffalo Bill’s time in Kansas, The Buffalo Bill Wild West Show, Annie Oakley and Buffalo Bill, Native American history in Kansas, Fossils and Formations in western Kansas, Kansas wildlife, Kansas crops and the list goes on……. Themed activities can be tailored to any group, organization or school grade level. These complimentary programs and activities may require extra planning time, so plan ahead. When Farmers Were Heroes – The Era of National Corn Husking Contest by Heritage Documentaries, Inc. 27 min. Kansas “The Center Of It All” by Mesquite 90 Productions 45 min.